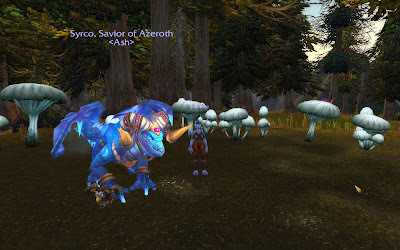 I first discovered Syrco's blog ages ago when I was looking for things about the Whispering Forest. Interestingly that was also how I first came across Ironyca's blog too. 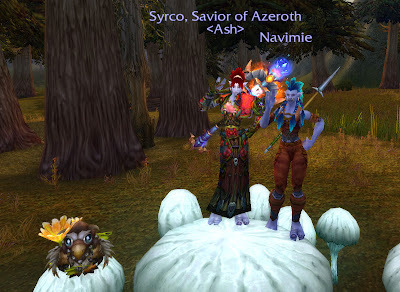 I had probably been reading Syrco for a few months and one day she said something that made me realise she was a she! 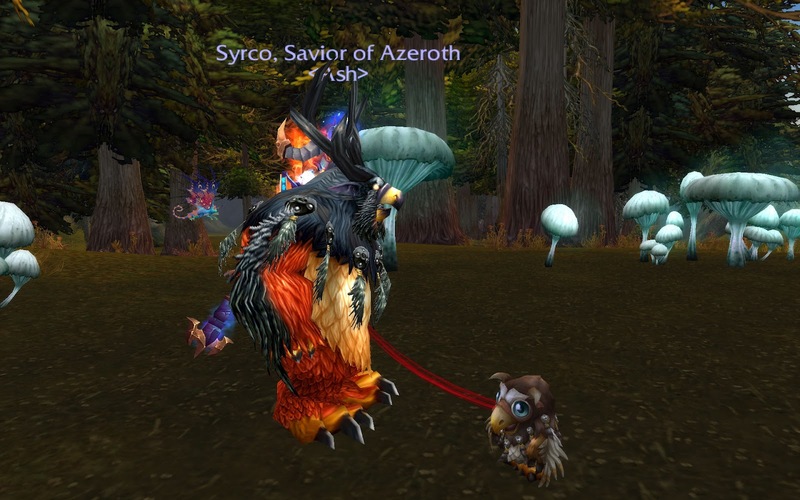 And here I thought all this time Syrco was a he! 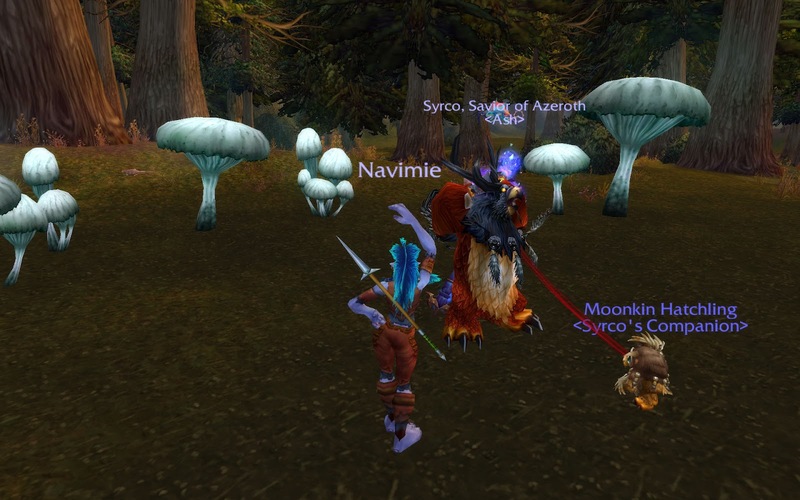 So I went to Syrco's server, but she wasn't on, and I asked one of her guildies who said she wasn't on any alts. I sent an in game mail to her, and thought I'd come back another time. I hadn't been there before on EU so my game was downloading data. And so I was stuck on the boat going back and forth because it wasn't loading the screens because I was lagging/downloading. Poor Syrco probably wondered what happened to me! 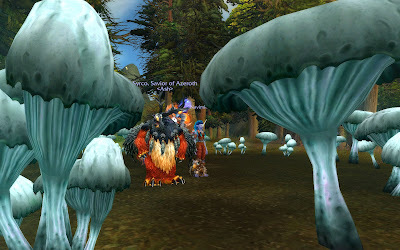 Eventually I emerged and we set off to Whispering Forest. 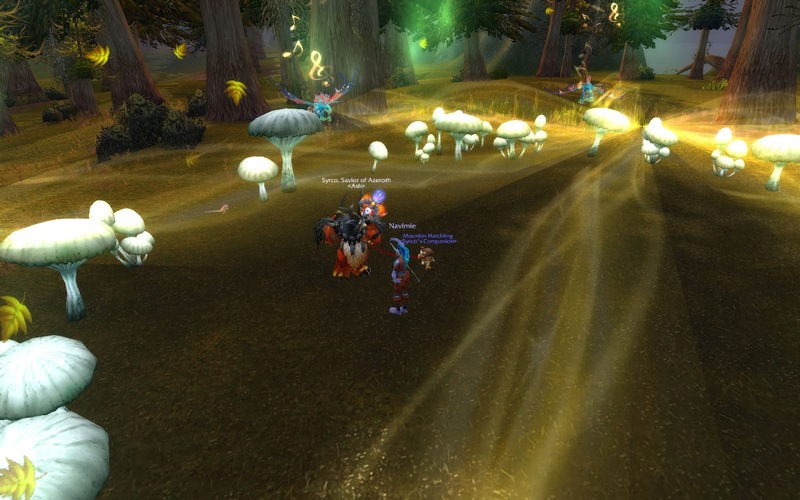 When we got there, 7 Faerie dragons were up so maybe it was going to happen soon! 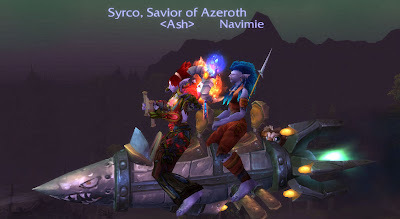 Syrco and I sat around talking and we talked about Norway (she's Norwegian) and how pretty it is, and she mentioned in a post about improving her English. I asked her about that, wondering if she had a copy of her blog in Norwegian and she laughed and said how many readers would she have then... 5? We both laughed. I told her about my penfriend from Norway that I had when I was young, and how I used to think that Norway was full of snow and bears and everyone lived in a forest. She talked about her partner (who plays WoW) and also about her guild which is a Scandinavian guild. It was at least half an hour before the event started, but time goes fast when you're chatting. Suddenly, the event started! 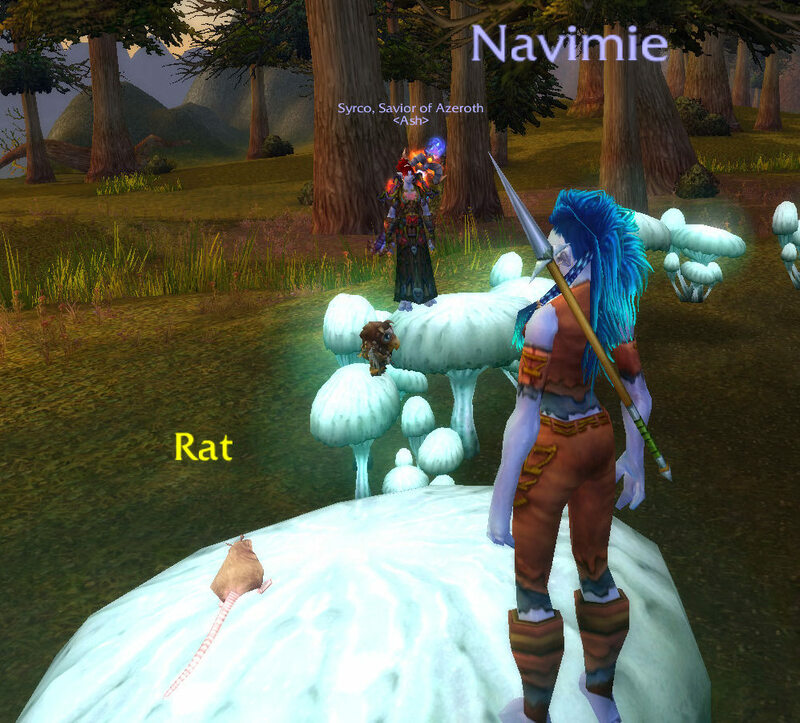 We both cheered as we sat down to watch the event and listen to the music and I laughed because after it was done a rat somehow ended up on top of a mushroom! I've only seen it twice before, and it's still amazing. It was a lovely, memorable visit and Syrco is so sweet! 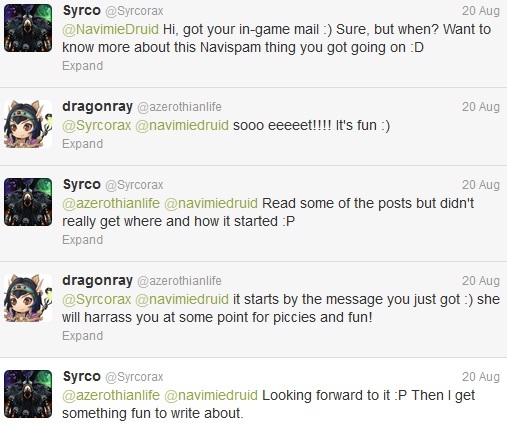 At least now she knows what it's like to be Navispammed :) I think she liked it (you can read her account here). Haha sweet. I learned about the Whispering Forest through Syrco as well. It must have been quite the discovery at the time when little to no people knew about it. I don't know anyone who wrote about it before Syrco, and I have to say it was pretty exciting to meet one of the first people to write about it. Maybe THE first! 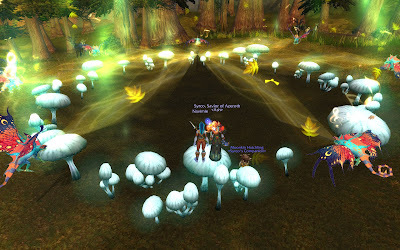 I have never heard of it, but I am going to investigate it now :) When the servers are up....eventually. Make sure game music is on!